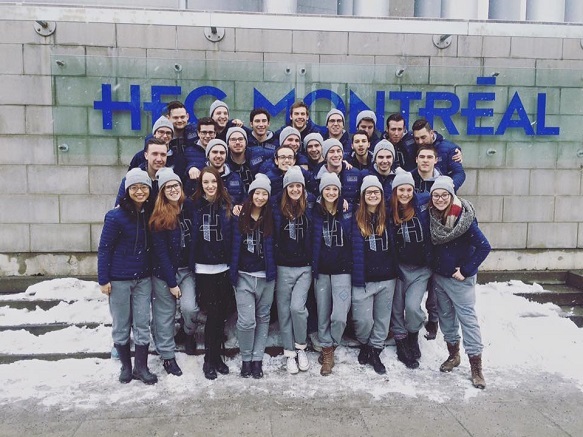 News > 2016 > Financial Open 2016: 1st place for HEC Montréal! Financial Open 2016: 1st place for HEC Montréal! The HEC Montréal delegation of BBA students came out on top in seven of eight events in the Financial Open 2016, easily winning 1st place overall! This is the largest interuniversity competition in finance and accounting in Canada. All in all, 350 students from 11 member institutions of the Students' Association of Management Faculties of Eastern Canada (RÉFAEC) took part in the 10th edition, held at Université Laval this past weekend. The Financial Open 2016 consisted of six accounting and finance case competitions (Managerial Accounting, Financial Accounting, Market Finance, Corporate Finance, Taxation and Personal Financial Planning), in addition to a stock exchange simulation and a quiz. Our sincere congratulations on this feat to the HEC Montréal delegation, co-ordinated by the Competitions Committee and coached by Robert Marcotte: Noor Al-haeik, Louis Arsenault, Akram Bencherif, Alexis Boily, Jean-Benoit Courchesne, Sammie Dubeau, Alexis Dubois-Lalanne, Alexandre Duguay, Adam El Ghazali, Naomi Francoeur-Vallière, Alex Gagné, Antoine Gélinas, Lindsey Gresham, Gabriel Hamelin, Thomas Lachance, Vincent Lamarche, Jean-Éric Laniel, Julie Lapierre, Jérémie Lebel-Guay, Valérie Lévesque, André Masse, Yuting Pan, Maxime Rose, Jérôme Tardif and Adrien Thibaud. They were supported by five volunteers from the School – Philippe Bérubé, Alice Bourgeois, Marc-Antoine D’Amico, Gabrielle Lallier and Audrée Lavoie-Archambault – along with co-ordinator Laurence Beaulieu and Guest Professor René Gendreau. The delegation wishes to thank Alexis Boutin, Mathieu Charest, Ludovic Coderre, Maxime Laliberté, Adrienne Lamarre, Jacques Lemay, Vincent Nicolet-Grégoire, Samuel Sicard and Vanessa Tremblay for the hours they spent training the teams.